To ensure that the water flow is controlled within an industrial, agricultural, or commercial application, the best option is to have a water control valve installed by our company Fluid Meter Service Corporation, servicing in our immediate area and nationwide. As the name may imply, these types of valves are installed exclusively for this purpose. Many commercial property owners have used valves as a water control system to help save money on their water and sewer bills each month. If you are planning to buy a water control valve, then please let us assist you! Our automatic water control valves are specially-engineered to meet the requirements of water utility systems at your location, greatly improving supply and distribution system efficiency. From the most sophisticated and complex of applications to the simplest, our automatic water control valves perform accuracy to provide exceptional control of pressure, flow, level, surge and pump control. We strictly offer water control valves from only the most well-reputable manufacturers. 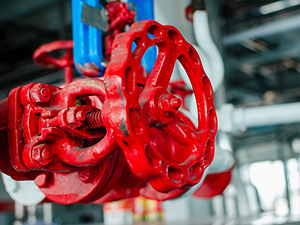 Buying water control valves that are of great quality, and are engineered to handle the job is absolutely critical to how well they will perform. If the quality is not all that great, then chances are that you need to replace the valves rather frequently. Secondly, you need to be sure that the water control valve you choose is installed properly. Generally speaking, our water control valves are rather substantial in size. It's best to have them installed during the construction of your building to ensure optimal performance. Please leave your water control valve installation to the professionals at our company! Our experts know just what size water control valve your location needs to do the job. Where Could Our Water Control Valves Be Used? Please feel free to contact us today for more information about how you can buy a water control valve and receive a free quote.